As a mom of three kids, I can tell you that it’s not always easy getting kids to eat their vegetables. In fact, it can be a downright fight at times. One of my favorite ways to get my kids to eat their veggies are by adding them into smoothers, fresh juice and during the summer popsicles! 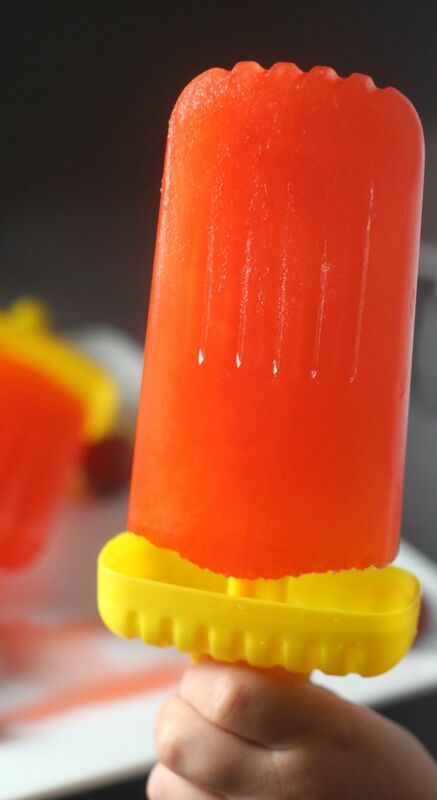 Yes, you read that right, I give my kids popsicles made from fresh fruit and vegetables. This month I was able to get a box of fresh produce from Farm Fresh to You. 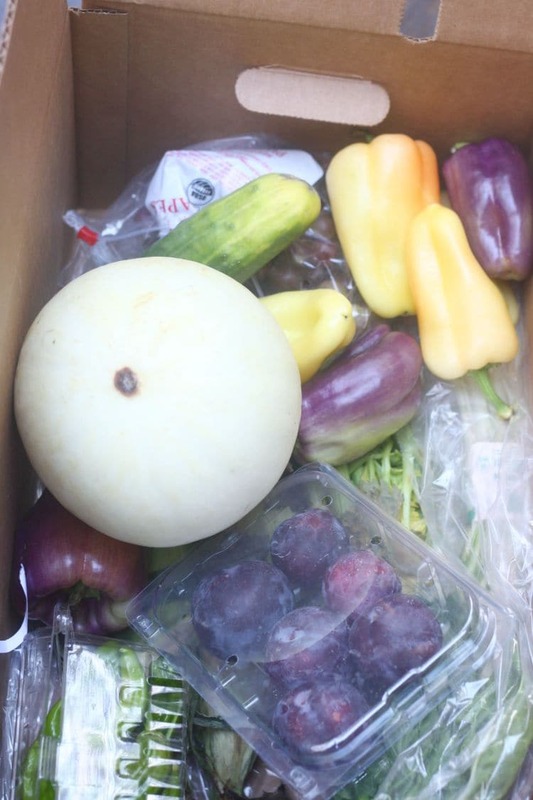 Check out the box below to see all the yummy produce I received. I used several of these products to make some delicious popsicles for my kids. Seriously, I’m not sure if it gets much better than this. 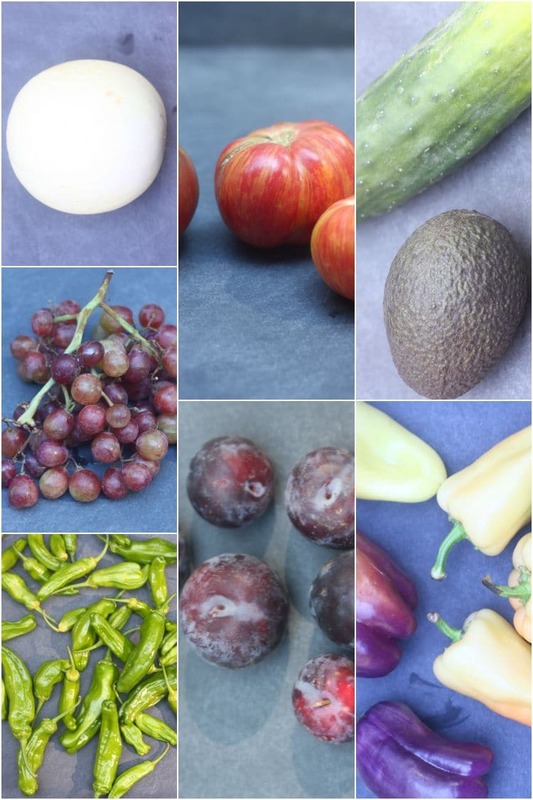 I love that you are able to customize your box, pick your delivery date, get farm fresh items from local farmers and change or suspend your order at any time. So, I’m sure you’re wondering what I made with my box of fresh produce. Well, one item I made was a yummy pasta dish that included pasta, chicken, Shishito Peppers, bell peppers with some fresh avocados on top. I also made some fresh popsicles using several of the items in my box. 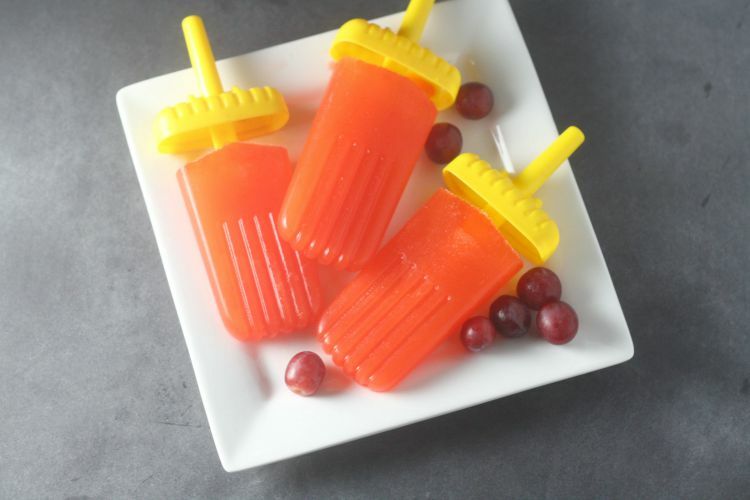 You can use any fruit or vegetables you have on hand to make these popsicles. Follow this simple recipe and you’ll have a fresh treat in the hands of your kids in no time at all. Take your vegetables and fruit and run them through your juicer. Using a juicer is key to getting all that yummy juice out of the produce. For these popsicles, I used red grapes, celery, a handful of chard, green honeydew, red plum, cucumber and white peach. 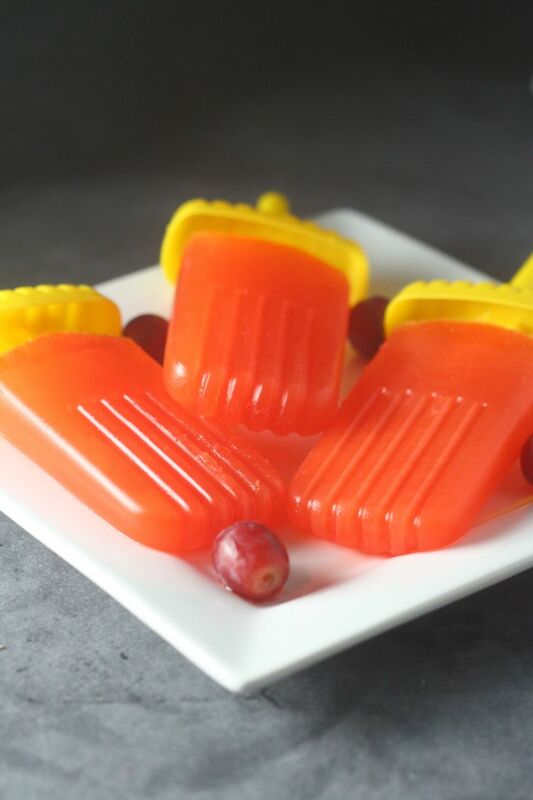 I ran each fruit through the juice and then poured the juice into my popsicle molds. Let the popsicles sit for at least 8 hours in the freezer and then let the kids dig in and enjoy! The end result of these popsicles was a very fresh flavor that mostly tasted like grapes and plum with a hint of cucumber. The taste is very refreshing and you really can tell that you’re enjoying fresh produce. The kids love them and as a mom, I love that I’m able to give them a healthy all-natural snack. Kristi, I am not sure if I should call you super smart or super sneaky. What a great way to get your children to eat their veggies and fruit. I bet you could convince a few adults to eat these yummy popsicles too. My kids have been eating them for breakfast haha. They think I’m the mom of the year…little do they know. Sneaking in the veggies – in popsicles! I LOVE it! Thanks so much for sharing with us at Dream. Create. Inspire. Link. I never would have thought of making a veggie popsicle. Great idea. I am so happy that you shared this link on #HomeMattersParty and I hope you will come back and share again.